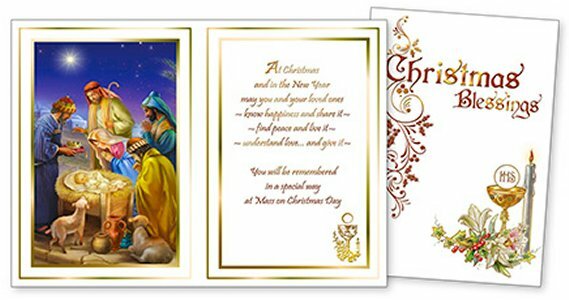 CATHOLIC GIFT SHOP LTD - De-Luxe Christmas Priest Card Parchment. De-Luxe Christmas Priest Card Parchment. De-luxe Christmas Priest card parchment with gold block. You will be remembered in a special way at Mass on Christmas Day.